Holidays and travelling abroad can be extremely expensive. But often it is the holidayers themselves that make it excessive – in reality there are many things that most people can do to help them save money on their holiday. 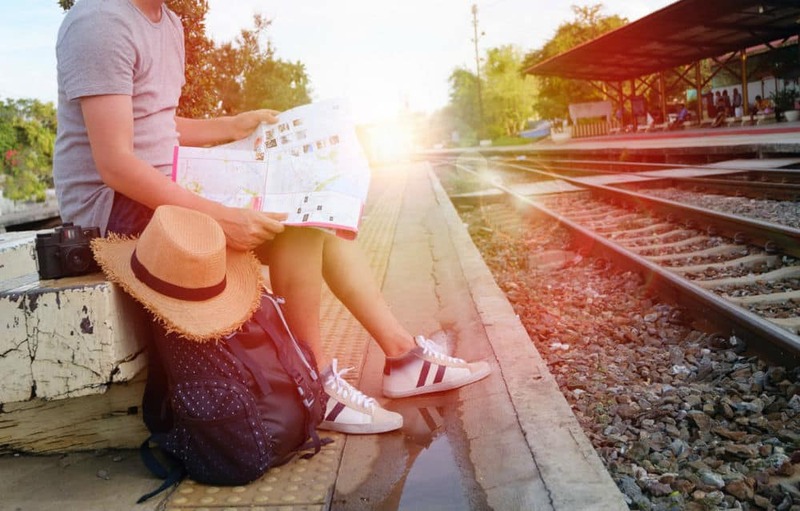 Here are four important ways you can be smarter with your money as you travel. 1. Be sensible with your accommodation selection. Always remember that where you stay is going to be one of the largest expenses of your holiday so it is essential that you put lots of thought into your accommodation – don’t just search on TripAdvisor for hotels and pick the one that looks like it is close to the attractions that you want to visit. It can actually end up making a huge difference to the cost of your holiday. Firstly, consider the location. Yes, it may be cheaper to choose that hotel outside the city centre, but remember that you’ll probably still want to visit those attractions, so you will need to factor in the travel costs. These can very quickly add up to a serious amount of money and you can end up frittering away the savings you made on the cheaper hotel simply through travel. Additionally, it is tempting to opt for the best quality room that you can afford, especially when the rooms look so amazing on the hotel’s website. But it is important to ask yourself – how much time am I really going to spend in that room? Yes, a fancier hotel room might be more inviting, but outside of sleeping, you might spend, an hour or so every day in that room, so it ultimately it can be far better to choose a cheaper room in a good hotel. And finally, remember that you can save a significant amount of money by eating out less and doing more cooking. Many types of accommodation have kitchens that can be used to prepare meals. Save that budget for activities – you can eat out in fancy restaurants anywhere. 2. Always use the right kind of card. Unfortunately it is still the case that tourists can get stung whilst they are abroad – and it is their own bank that does it to them. It is increasingly easy to use cards around the world to make payments for everything from food and drinks to souvenirs, but remember that not all cards are created equal. For example, you might be surprised to learn that many standard credit cards will charge all sorts of fees for use abroad. Alongside the standard interest rates you have to pay, there may be a non-sterling transaction fee that applies to any other currency, as well as fees for withdrawing from cashpoints and even penalty charges for transactions. All in all, it is inevitably cheaper to take out a specialist travel credit card that does not have these additional costs. In fact, according to some statistics, these cards are actually cheaper than exchanging cash at a currency exchange and paying for your whole holiday without a card. 3. Budget for your holiday (and stick to that budget). It might seem like an obvious point to make, but it can be extremely easy to simply turn up on your holiday and just use your money as you would in the UK. However, this can be very dangerous, as this is a holiday and you can end up spending a truly enormous amount of money unnecessarily. It is a far better idea to have a budget for your spending. But it is worth pointing out that you do need to be very careful with your budget, and be reasonable about how much you are going to spend. Once you start going over budget it can be easy to fall into a bad routine of overspending. 4. Think like a local. Perhaps the most important tip if you want to be smart with your money while on holiday is that you need to think like a local. If you have ever lived in a tourist destination you will know that there are restaurants located around the major attractions that locals would never touch, as they are typically overpriced and not very good. Locals seek out quieter areas where the restaurants aren’t just a trap for tourists – they are catering to people who want to eat their food. Also, you need to plan your travel to coincide with the off-season. Tourist destinations get very busy, and locals wouldn’t dream of visiting the main attractions during busy periods. They wait for the crowds to leave and take advantage of the calmer streets. Finally, remember to make use of public transport like the locals do. Taxis might be convenient but they will always be far more expensive than the public transport in place.